These quality 3/4 length Black shorts/leggings are as comfortable as they are versatile. 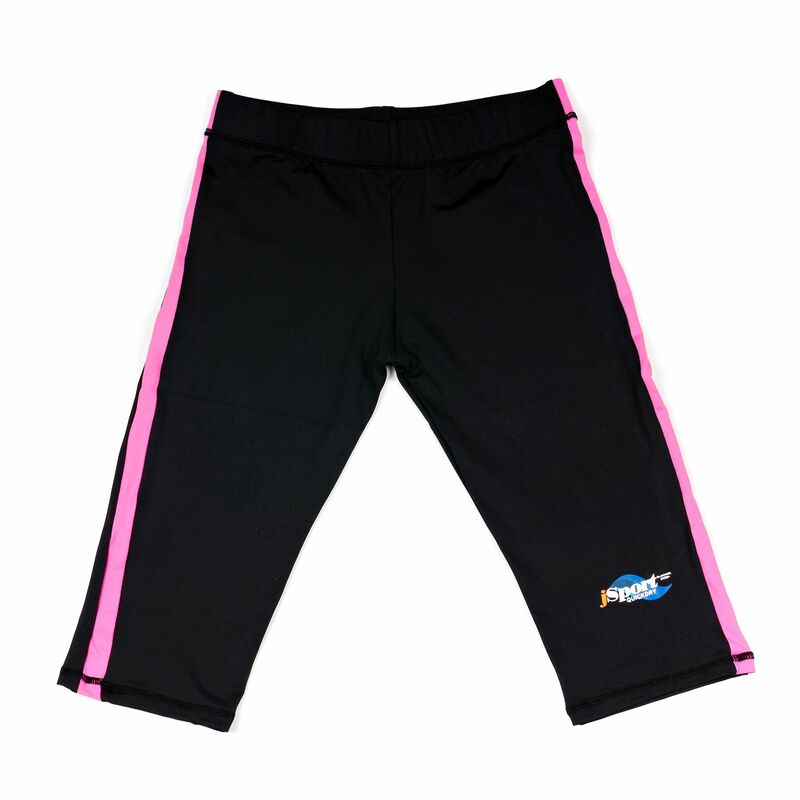 Perfect for the active person both in and out of the water, and for all kinds of sporting activities. Please note they have a pink stripe down the side of each leg to match the tops in blk/pink.